Will NextGen threaten Rafael Nadal, Roger Federer and Novak Djokovic's Grand Slam dominance at US Open? Zverev, Shapovalov, Tiafoe and Tsitsipas - how far can they go at Flushing Meadows? Will Rafael Nadal, Roger Federer and Novak Djokovic continue their dominance of the Grand Slams or will the NextGen make their mark at the US Open? Sky Sports' Barry Cowan analyses the prospects ahead of Flushing Meadows. With Djokovic firmly back at the top table of men's tennis following his Wimbledon triumph last month and his history-making victory in Cincinnati, the challenge for the younger stars of today to impress on the major scene has never been greater. After Nadal and Federer shared the Grand Slam crowns from the 2017 Australian Open through to the 2018 French Open, Djokovic returned to his best form, after struggling for form on his return from elbow surgery, to win a fourth Wimbledon title. 2018 Roger Federer Rafael Nadal Novak Djokovic ? 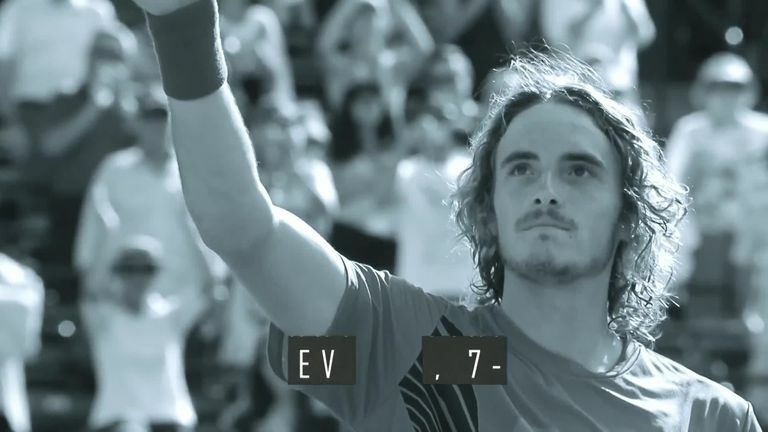 The North American hard court season has seen world No 4 Alexander Zverev successfully defend his Citi Open title in Washington while Stefanos Tsitsipas enjoyed a dream run to the final in Toronto, which included four top-10 victories. As focus turns to the US Open - the final major of the season - intrigue switches to whether someone from the NextGen pack can emerge and take the limelight away from their more experienced counterparts. What has been very interesting with Zverev has been the last three weeks. If you split it up, the first half was sensational. I thought he was playing terrific tennis and in the right way. He was in total control against Stefanos Tsitsipas, served for the match in the Toronto quarter-finals, then lost the set and didn't recover. Not only didn't he recover in Toronto but he didn't recover in Cincinnati. That is ultimately one of the reasons why he hasn't been able to make the next step in the Grand Slam where over five sets and seven matches you are going to hit a patch at some stage where it becomes difficult. He is not able to withstand that pressure and it affects him for a long period of time. Having thought after the first week and a half of the North American stretch that Zverev is definitely in contention, he is now a way off if you look at the damage over the last week and a half. However, he is going to be working with (Ivan) Lendl and that could make a huge impact. For me it is a mental thing more than anything else. It's not a case that a lot is wrong - he is world No 4 and a phenomenal player! However, objectively you look at the top three and he is a level behind those guys, not only mentally but tennis-wise as well. I felt that at the end of 2018 if he was around the ranking that he started the season then that would have been a good year for him. To expect him to continue his magnificent upward curve that he had in 2017 was unrealistic. Just for the fact that mentally he is so young. For me in the future [Shapovalov] will be a Grand Slam champion, if not a serial Grand Slam champion. For Shapovalov this year has been a really good year. I think he is right on track to continue that upward curve. I forecasted at the beginning of 2018 that 2019 would be the big year for him. We are not talking about him being ready to win a Grand Slam but he is capable of having a really good week in a major. He could potentially, given the right draw, reach the quarter-finals. At the moment that would be his maximum but he is such an exciting player. For me in the future he will be a Grand Slam champion, if not a serial Grand Slam champion. It has been a year of great progress, moving into the top 50 at the age of 20. He is moving in absolutely the right direction. He is the type of player who plays a different style to the others, a very emotional type of player which I like. When he gets the adrenaline rush he can play some inspired tennis. [Tiafoe] is an incredible mover and the kind of player American tennis needs. They need someone like him who has got a lot of promise. He is an incredible mover and the kind of player American tennis needs. They need someone like him who has got a lot of promise. I love to see how these younger players cope with the pressure of a Grand Slam because it is totally different and the spotlight is on them. Can they also deal with the pressure they put on themselves because they expect to win? Realistically, the last 16 of a US Open would be an exceptional performance for him. I first saw him towards the end of last year. I interviewed him at the NextGen Finals in Milan, where he was an alternate, and what struck me straight away was how mature he was for someone who at that stage was still a teenager. When you have the talent he has and the work ethic and you marry that with the maturity then you are going to be great. It hasn't surprised me he has been knocking on the door at events but to be world No 15 is incredible. It just shows how much he has improved. Right now he is leading that second pack because Zverev is at four in the world. What happened to him in Cincinnati, losing to David Goffin, was understandable. It will also be very difficult for him in New York because all of a sudden everyone is talking him up. He beat four top-10 players in Toronto, (Dominic) Thiem, Djokovic, Zverev and (Kevin) Anderson. If he can match around what is seeding position will be and get to the last-16 then that is an incredible effort.